Spotify is in a good place, judging by financials revealed overnight for the last three months of 2018. Revenue growth was in double digits and it has finally turned a quarterly profit, according to its financials. The Swedish-based streaming service attributed its quarterly operating profit of €94 million (A$150.3 million) to slashing operating costs by 17% year-on-year. It made a net profit of €442 million ($707 million) in the quarter, mainly due to a €125 million ($199.9 million) tax-related benefit related to its stake in China’s Tencent Music Entertainment. Spotify’s total revenue for the quarter was €1.495 billion ($2.39 billion), a jump of 30% year-over-year, and 11% compared to its last quarter. Most of its revenue – €1.32 billion ($2.11 billion) – came from premium subscribers, while ad revenue was €175 million ($279.9 million). Full-year revenues at Spotify escalated by 28.6% to €5.26 billion ($8.41 billion. Its revenue in 2017 was €4.09 billion ($6.54 billion). Net loss was just €6 million ($9.59 million) in the quarter, and €78 million ($124. 7 million) throughout the year – which worked out to nine times less than its €378 million ($604.7 million) operating loss in 2007. At the end of last year, Spotify’s global Monthly Active Users (MAU) was 207 million. Of this, 96 million were subscribers (Apple Music has 56 million). Spotify added 25 million new subscribers throughout 2018, indicating that acquisition of subscribers is accelerating. In 2017 it only added 23 million new payers. It added 9 million subscribers in just the last three months of 2018. It expects to have between 97 million and 100 million premium subscribers in the first three months of 2019 – and between 117 million and 127 million by the end of the year. Its MAU count is expected to hit between 245 million and 265 million by the close of the year. Annual revenues for 2019 are forecast to land between €6.35 billion ($10.1 billion) and €6.8 billion ($10.8 billion) which would mark growth of between 21% to 29%, with annual operating loss between €200 million and €360 million. 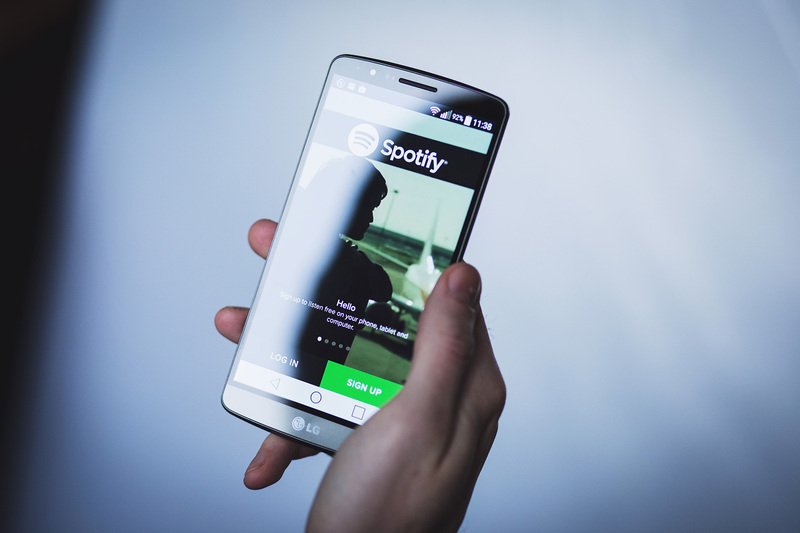 Spotify has also plans to expand its revenue source from the growing podcast market. It has just paid a reported US$230m to acquire podcasting content company Gimlet Media (which has its own studio with dedicated IP development, production and advertising capabilities), as well as the audio social network and software firm, Anchor. This would make it a premier producer of podcasts and the leading platform for podcast creators. “These acquisitions will meaningfully accelerate our path to becoming the world’s leading audio platform, give users around the world access to the best podcast content, and improve the quality of our listening experience as well as enhance the Spotify brand,” said CEO Daniel Ek. Speculation had it entering the Indian market by January 31 but indications are that is going to still happen, with Universal Music and Sony Music apparently close to licensing it for that market. The company now has a presence in 78 countries.